Woodworking software – “cutting” a curve. Woodworkers sometimes need to cut smooth curves. 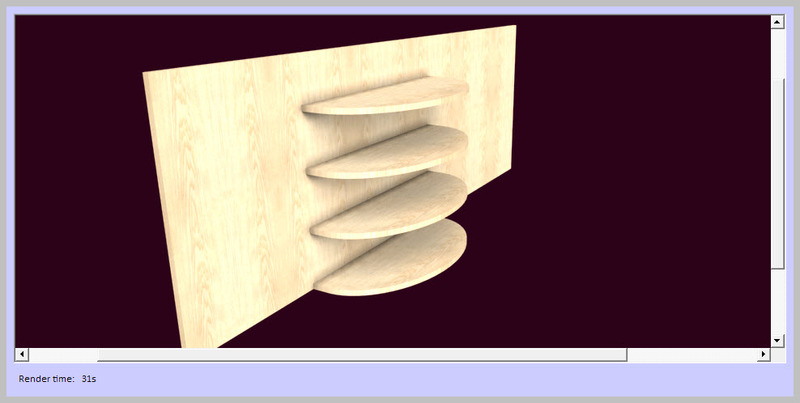 A user emailed asked how SketchList 3D woodworking software can put a smooth curve on a board. His email included a screen capture edited to show what he wanted. Go to the board detail level, select a surface, and use the shape tool. In the tool use the curve button and then pull the dots back and forth until your curve appears. Make that board into an oval – using the oval tool. Then select the convert line tool and change two oval segments into lines. Then you can insert two points [inset tool] and locate those points to be the corners of the board. Watch this video – it’s easy. Also someone asked about change order tracking – and while not in the SketchList 3D woodworking software formally – you can user the save as function to do this. For example project name Jones bookcase becomes Jones bookcase with cover molding added. You can add note to the project such that changes are documented. In an introduction session with one of our newest SketchList 3D woodworking software user I discovered a few new ways to make use of the align tool. That video posts later this week.